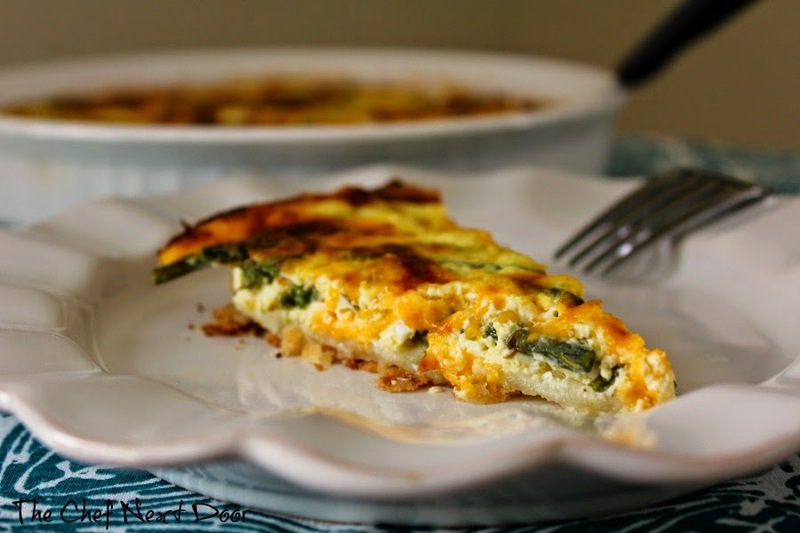 Tender, fresh asparagus and sharp cheddar cheese are a tasty combination in this quick and easy quiche! Our Blogger Recipe Challenge group was lucky enough to be sponsored by Polder's Old World Market this month! Polder's makes handmade wooden kitchenware that is absolutely beautiful. From measuring cups to spoons to spatulas, every single piece is stunning. Each of the bloggers received an item to review. I chose the Ultimate Cooking Spoon and quickly fell in love! It's a gorgeous cherry color and is long and lean. I used it to saute my asparagus for this recipe and know I will be continue to use it for many years to come. The wonderful people at Polder's are generously giving away some of their products to our readers! There will be a total of 4 winners - the Grand Prize is the Southern Belle Ladle; Second Prize is the Small Serving Spoon Set; Third Prize is the World's Best Cookie Spatula; and Fourth Prize is the Simple Spatula in Black Walnut. Check out the giveaway form at the bottom of this post to enter. My beautiful Cooking Spoon in action! 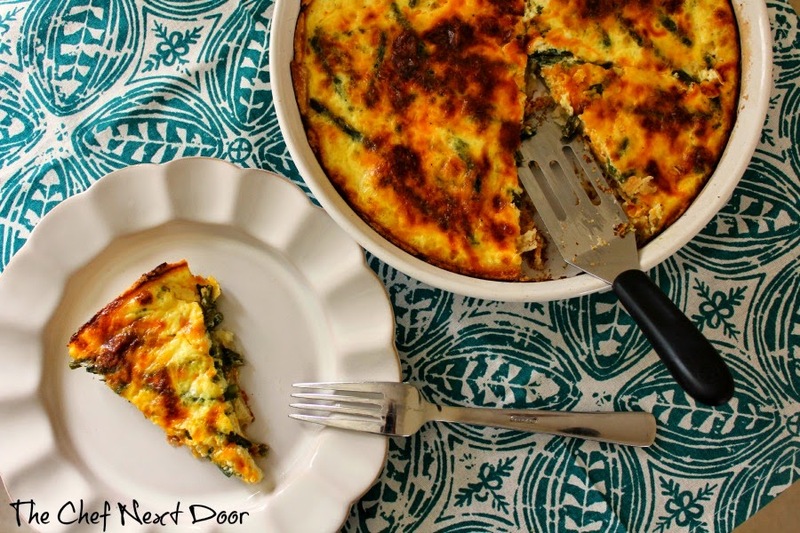 This Asparagus and Cheddar Quiche is really easy to put together and incredibly versatile. Make it for breakfast or brunch, or pair it with a tossed salad for a quick dinner. You can also swap out your veggies - use broccoli, peppers, mushrooms, whatever you have on hand. The options are endless! Preheat the oven to 425 degrees. Roll out the crust and fit it into a 9-inch quiche or pie pan. Using a small fork, prick all over the surface of the dough. Bake the crust for 10 minutes, until it just begins to firm up. 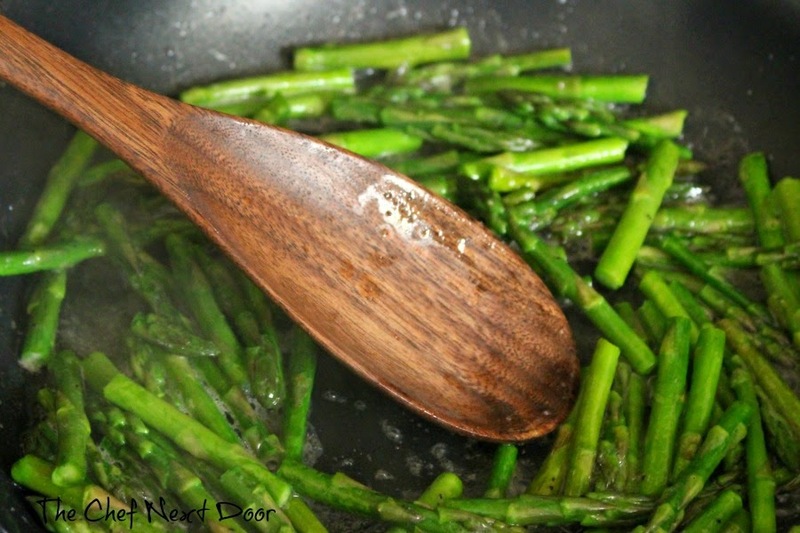 Melt the butter in a medium skillet over medium heat and add the asparagus. Sprinkle with salt and pepper and cook until tender, about 10 minutes. In a small bowl whisk together the eggs and milk with a pinch of salt and pepper. Pour the egg mixture into the partially baked crust. Spread the cooked asparagus all over and sprinkle with the cheese. Bake until the quiche is puffed and brown, about 30 minutes. Remove from the oven and allow to cool for about 10 minutes. Serve warm or at room temperature. or find them on Facebook!